I’m in my mid-40s and have about $700,000 in retirement accounts. Is that amount in the upper range for someone my age and does that figure put me on track toward a secure retirement? I don’t think there’s any doubt that your seven hundred grand puts you far ahead of most people your age when it comes to retirement savings. The latest figures from the Employee Benefit Research Institute (EBRI) show that the average IRA balance for people 45 to 49 years old was a bit over $72,000, while 401(k) participants in their 40s who’ve been with their employer more than 20 years (and thus most likely to be long-time contributors to their plan) have an average balance of roughly $159,000. But whether your sizable nest egg means you’re on track in the sense that you’ll be able to maintain your standard of living in retirement—which, after all, should be your primary goal—is another question. And the answer depends not just on the size of your retirement savings accounts at a given age, but a variety of factors including how much you earn, the age at which you retire, whether you’ll qualify for a traditional pension, the retirement lifestyle you envision, how long you’ll live and whether you’re able to manage your savings in retirement without depleting your assets too soon. Still, you can get a quick sense of how you’re doing by going to a calculator like Fidelity’s Get Your Retirement Savings Factors. This tool helps you estimate how many times your annual salary you should have tucked away in retirement accounts at ages ranging from 30 to 67. What’s more, it can show you how much the amount you should have accumulated by a given age can vary depending on when you plan to retire and your expected lifestyle in retirement. Check Out: Where Can I Put My Retirement Savings So It Won’t Get Whacked By The Stock Market? So let’s say that you’re 45, plan to retire at 65 and you would like to maintain your current lifestyle in retirement. Based on those and a host of other assumptions—including a 15%-of-salary savings rate, a retirement portfolio of which at least half is invested in stocks and that you’ll have income from Social Security but not a pension—the tool estimates that you should have six times your annual salary tucked away in retirement accounts at 45, nine times salary by age 55 and 12 times your yearly pay by the time you retire at 65. So by this estimate, you would be roughly on track at age 45 assuming your annual salary is between $115,000 and $120,000, as savings equal to six times a salary in that range would put you right at or very near your $700,000 figure. If your salary falls below that range, then you’re in even better shape. Of course, you would have to continue saving throughout the rest of your career and invest your savings sensibly to stay on track. But the multiple of salary you should have tucked away in savings can go up or down pretty significantly, depending on the age at which you retire and how much you expect to spend. So, for example, if you assume you’ll work and save two more years and retire at 67 instead of 65, the tool estimates you would need just four times your salary at age 45 instead of six times. And if you figure you’ll retire at 67 and also spend about 15% less in retirement than during your career, the calculator estimates you would need to have only three times your salary tucked away in retirement accounts by age 45. By contrast, if you wanted to retire at 62 and boost your spending by 15% after you retire, the tool estimates that you should have nine times your annual pay tucked away at age 45, and it forecasts that you would need to have 16 times your pre-retirement salary in retirement accounts when you exit the workforce at age 62. Clearly, whether the amount you’ve accumulated at a given is adequate or not depends in large part on how you plan to live in retirement and when you expect your retirement will start. But while this savings factor tool can give you a good back-of-the-envelope estimate of whether you’re adequately preparing for retirement, from time to time you’ll also probably want to take a deeper look at how you’re faring with your retirement preparations. One way to do that is to go to a retirement planning tool that allows you to do a more nuanced analysis, such as T. Rowe Price’s retirement income calculator. You plug in such information as your retirement account balances, the percentage of salary you’re saving each year, how you invest your savings, your planned retirement age and your projected Social Security benefit, and the tool uses Monte Carlo simulations to estimate your chances of being able to retire on schedule if you stick to your current regimen. If your chances aren’t as high as you’d like, you can re-run the analysis to see how making adjustments like saving more, postponing retirement a few years or working in retirement might tilt the odds more in your favor. As you do this sort of assessment, remember that what you’re getting isn’t an ultimate verdict on your retirement prospects, but an estimate of where you stand at this point in time. 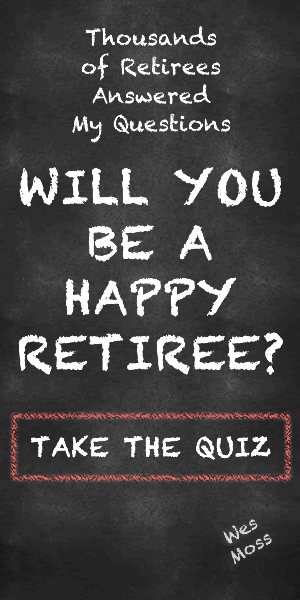 If it appears you’re well on your way to a secure retirement, that’s great. But don’t get cocky. You’ll want to re-do the analysis every year or so to ensure you remain on track. If, on the other hand, you find that you’re behind where you should be in your retirement planning, that’s not necessarily cause for panic. Instead, come up with a plan to get up to speed, and then continue doing retirement check-ups to determine whether you’re making sufficient progress. If you’re not comfortable doing this sort of number-crunching, you can always consult an adviser for help. But one way or another, you need to do this sort of assessment periodically or run the risk of finding late in the game that you’re not nearly as prepared for retirement as you thought.